While human resource managers rely on various means to gauge workforce performance, the employee performance review stands as the most reliable. Conducted at predetermined intervals, these appraisals provide staff members with valuable feedback, including suggestions for improving performance and modifying counterproductive habits. Given the thoroughness of these reviews, they often have served as a foundation for promotions and pay increases. But the assessments can be enormously complex, placing a tremendous burden on the shoulders of management. Fortunately, HR software changes the process for the better. Rather than burdensome, paper-based processes, the technology utilizes digital record-keeping and feedback mechanisms to provide a steady, streamlined flow of actionable information. What’s particularly valuable about HR systems is the multi-dimensional character of the employee reviews they generate. Rather than a single source of feedback, the software offers reviews from multiple channels such as co-workers, management, and customers. Consequently, management gains an in-depth, multidimensional view of employees. The full range of strengths and deficiencies are presented via diverse inputs, allowing for more accurate ways to address both. 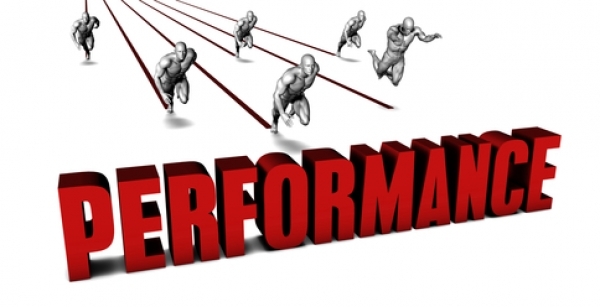 HR software also allows for remote delivery of performance review feedback. This convenience will be increasingly relevant as more and more employees either elect or are assigned to work off-site. With distance restrictions eliminated or minimized, management has much greater freedom and flexibility to conduct employee reviews for offsite personnel. The value of more frequent reviews should not be underestimated. With the longer waiting periods associated with conventional, paper-based reviews (generally every year or half-year), employee anxiety naturally increased as personnel ‘waited it out’ for feedback. More routine feedback, on the other hand, minimizes ‘wait-time’ stress and give employees a steadier flow of data regarding their performance. If you have any questions about using HR software to conduct employee performance reviews, please reach out to HRsoftware.ME. Our team will be happy to provide additional information and answers to all your questions.